In present-day England, Elizabeth has built a quiet life for herself, tending her garden and selling herbs and oils at the local farmers' market. But her solitude abruptly ends when a teenage girl called Tegan starts hanging around. 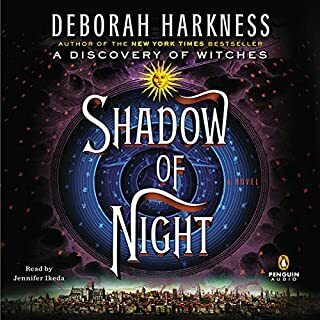 Against her better judgment, Elizabeth begins teaching Tegan the ways of the Hedge Witch, in the process awakening memories - and demons - long thought forgotten. 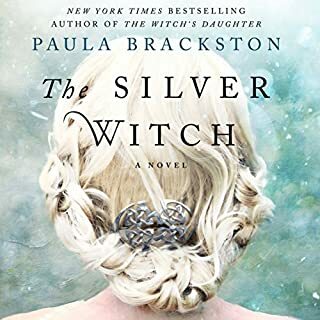 Part historical romance, part modern fantasy, The Witch’s Daughter is a fresh, compelling take on the magical, yet dangerous world of Witches. 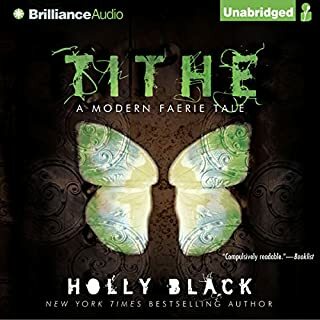 Listeners will long remember the fiercely independent heroine who survives plagues, wars, and the heartbreak that comes with immortality to remain true to herself, and protect the protégé she comes to love. Am engrossing story encompassing the main character Elizabeth’s many lives and solitary existence after she meets a young woman also on the fringes of society. This book is a story of family and enduring bonds, isolation and wonderfully crafted imagination. This book is one I now own in both audio and kindle formats, and enjoy going back to. 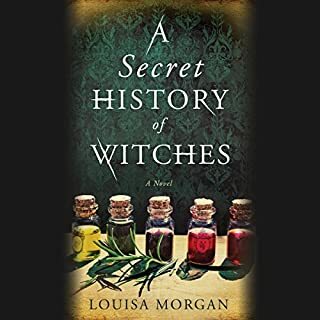 Great book but I’m left wondering..
Ok this is a fantastic little book, those who have an interest in Wicca and/or historical fiction (not that this is exactly historical fiction, just reminds me of other books I’ve read in that genre) will especially enjoy it. 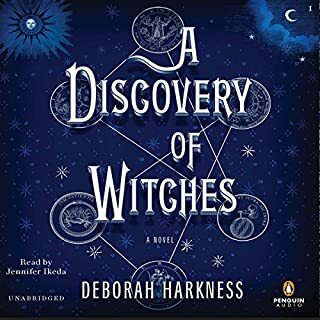 I’ve read some of this authors other “witchy” books but in all honestly, this is the best one and the only one I’d have read after reading a few. 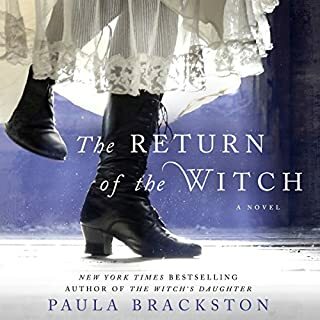 Even the follow up book to this, “Return of The Witch” left me feeling...unsatisfied. 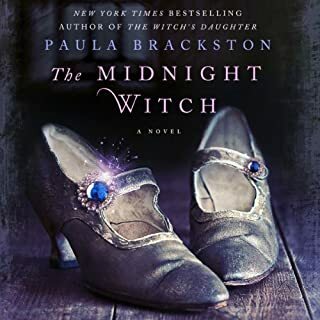 And “The Midnight Witch” I actually quit a quarter way through, just couldn’t even go on reading because the story was so poorly told. 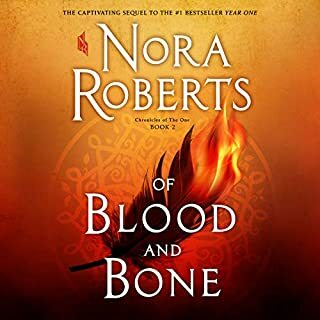 It’s rare I completely abandon a book but yeah it was that bad..ok sorry for veering off, back to my review..
Our protagonist is the daughter of a witch who is “rescued” after her mother’s execution by a witch hunter and angry mob. 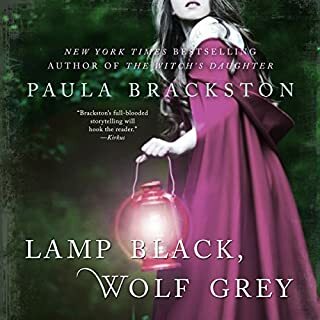 Although she is initially saved by the antagonist of the book, a strange man named Gideon who wants her to become his protege seeing in her natural abilities in witchcraft. 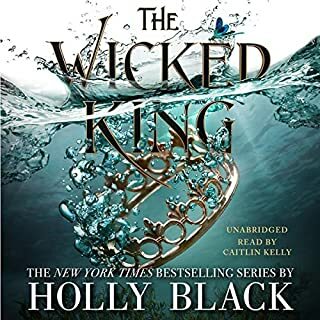 He sets about teaching her and she even has something of a “crush” on him but soon his protege realizes Gideon deals in dark arts and decides his black magick isn’t something she wants to be a part of and she soon escapes Gideon. After that the tale unfolds, I won’t spoil it with specifics but it’s an enchanting tale but at the end of the book and thinking my question might be answered in the sequel (which it wasn’t) I’m left wondering to this day WHAT was the significance of Gideon’s love of the tune “Greensleeves”??? It’s a recurring theme in the book. She hears the tune just before Gideon appears. She first hears it the first time she encounters Gideon. It’s an ongoing thing in the book. At no point do we ever learn WHY Gideon has the attachment he does to that beautiful old song. Personally “Greensleeves” is one of my favourite songs so having this left unanswered frustrates me. And in the sequel, “Return of the Witch” oddly Gideon has gone from whistling his favourite tune throughout the first book to NO mention of it at all I think in the second. Seems weird to focus so much on this recurring “Greensleeves” theme and then give no reason why it was so significant. Odd. All in all I would recommend this book. 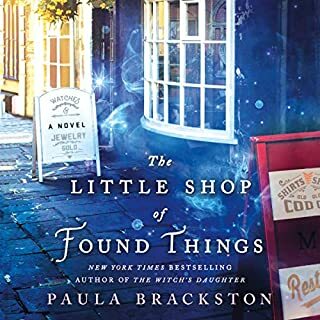 I’m contemplating reading her new book, The Little Shop if Found Things but I have a ton of reservations given out of three books of hers I’ve read, only this one I’ve truly enjoyed. Definitely not a love story! Narrator did great work. Not really sure how the synopsis is so far off of the reality of the story. Definitely not a love story, unless you like your romantic leads to be actual serial killers and rapists. It's kind of a weird story where you don't really end up caring about any of the characters and hope the antagonist just kills everyone in he end. I loved this book, part historic and part fiction. All woven together beautifully. The narration was wondefully done, I enjoyed this book so much that I am sad Ive finished it. i loved this book. The narrator was a perfect fit for the story and character. For the most part, yes. I felt myself wanting the book to continue in more detail at certain points, yet other parts seemed very drawn out. It could have been much better if the storyline had not meandered quite like it did. It felt a bit rushed, and I wonder if it wouldn't have been better as several books- one for each era of Bess' life. The fact that there was actually some hard-core Satanic worshipping going on was a bit shocking...most books about witches make it a point to avoid that subject. Bess' upbringing was probably the most interesting storyline to follow throughout the saga. The way the villain shows up eventually in every era became very redundant, and I would say that is the biggest flaw of this book. I HATED the voice the narrator used for any male character. It was a terrible, drab, creepy sort of voice that didn't suit the author's intentions for some of the character's, I felt. It took away from Gideon's character a great deal, I felt. If I'd been reading the book to myself, he would have had a much more sultry, seductive voice, which would have made me understand his allure and power over Bess. Light hearted & campy. I enjoyed it anyway. I would leave the actual words of Bess' chants and incantations out. The simple and juvenile language of them was inconsistent with the strength of her power and maturity of her character. Some things are better left unsaid. Let the wording remain esoteric; it would add believability to the story. 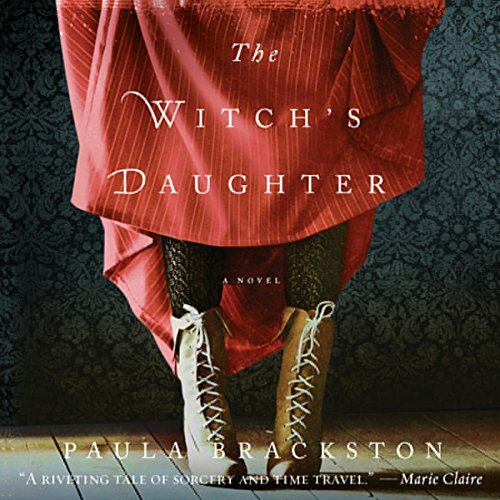 Would you recommend The Witch's Daughter to your friends? Why or why not? I'd recommend it to friends who enjoy light heart, campy books. Hey, there's nothing wrong with that as long as they aren't expecting an Anne Rice or Diana Gabaldon book. The Scottish accent wasn't good at all. I felt her male voices in general weren't as good as her female voices. The men all sounded too similar and I couldn't quite forget it was a female narrator (unlike Davina Porter). That said, her female voices were great. I heard a clear distinction between them. I love their different accents; they made the performance as a whole, much better. Did The Witch's Daughter inspire you to do anything? The book inspired me enough to order the next book. ;-) That says enough, yeah? What did you like best about The Witch's Daughter? What did you like least? 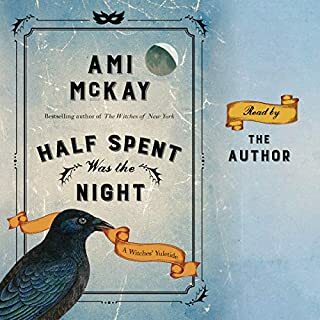 The narrator was great but the story felt meandering and lacked focus. I didn't feel compelled by any of the characters. The ending totally fell flat. I felt like she could have done more with the characters. Have you listened to any of Marisa Calin’s other performances before? How does this one compare? This is the only one I've heard. Do you think The Witch's Daughter needs a follow-up book? Why or why not? I'm not sure I liked the characters enough to read another. while this book may have been slightly predictable, i found it to be just what i was looking for right now. 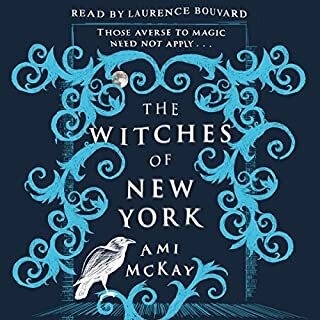 it was an easy read, full of fun and magic and my favorite supernatural, witches. it had the perfect mix of romance (if you can call it romance), magic and story. and it didn't take itself too seriously or drone on for too long. it was the perfect length novel with the perfect amount of drama and buildup. bess was a great narrator, i loved the intertwining of her past and present story. the historic fiction element that was brought into the story in her unveiling her long life was smart...kept me interested in both her modern day story and her past. Glad I stayed with it. I can't tell you how many times I almost gave up on this book due to it's slow dragging start. Once the author picks up gears it makes for such an interesting story. 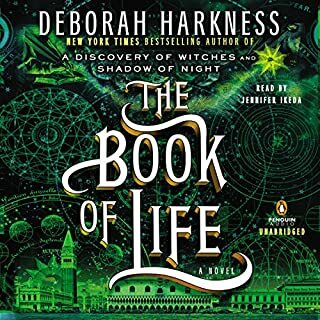 I enjoyed the theme of the book about a witch who strives to rise above her creation. The story just fell flat for me and was not compelling. I had hoped for more detail, more examples of her historical experiences. I wanted to learn more about her and why she led her life the way she did. No surprise - it was as expected. 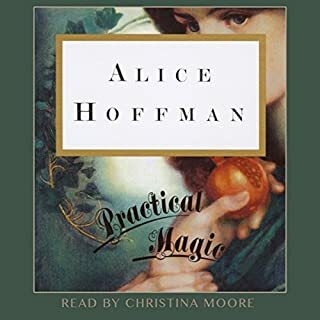 Would you listen to another book narrated by Marisa Calin? Possibly. 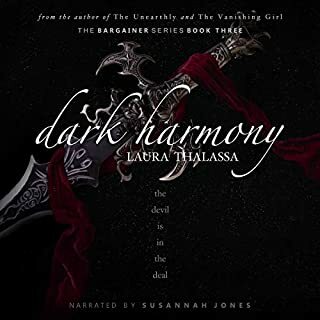 I found the narration interesting in that she brought vocal changes to the characters that made them unique to the ear. Could you see The Witch's Daughter being made into a movie or a TV series? Who should the stars be? Maybe a short mini series but they'd have to really flesh out some more detail. I did not identify the characters with any particular actors. It wasn't a bad read/listen, just not nearly as good as some that I've enjoyed lately. I wasn't driven to finish this story, just hate to leave one unread. 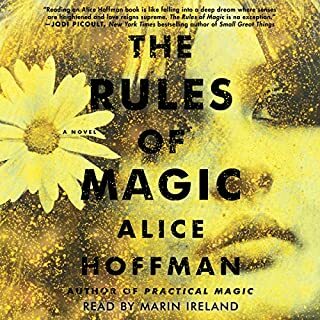 great book, great narrator, pleasantly surprised! go ahead! give it a listen! I'm usually more of a historical romance or mystery type of person but I enjoy a bit of magical realism, too. I put off reading this book for almost a year thinking it wasn't really something I would enjoy. I was really surprised at how much I enjoyed it! couldn't stop listening, as a matter of fact! on to the next one! I enjoyed the story, but found myself rewording sentences to have them carry more meaning. 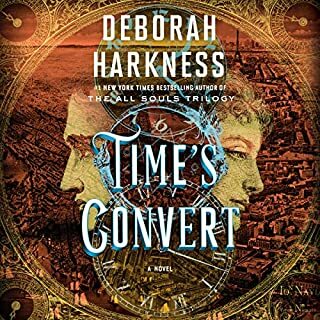 I really enjoyed this listen.. the story was excellent, the teller was fabulous, I will continue to the next one. loved it.